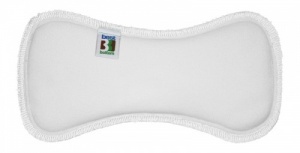 The Best Bottom Stay Dry Insert consists of 4 layers of super thirsty microfibre topped with a super soft no-pill fleece, pulling wetness away from baby's bottom and keeping them feeling dry and free of irritation. They easily snap into the Best Bottom diaper shell. 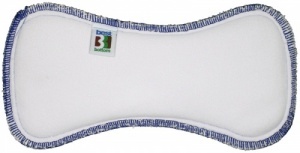 Best Bottom cloth diaper inserts are made specifically for Best Bottom covers but can be used with other brands too. 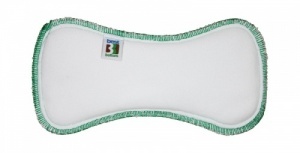 The Best Bottom one-size nappy system is easy to snap together and go. You choose the reusable insert and wrap that works for your baby. Many may start researching cloth nappies, get overwhelmed and quit. Best Bottoms are so easy to use and (hopefully!) understand yet comes with lots of options so you can get a customized system for your baby. 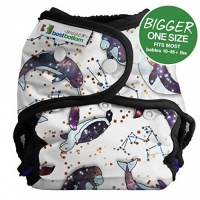 Best Bottom nappies fit from birth to 35+ lbs. With an added special leg gussets to help keep everything in and guard against leaks and an adjustable rise with four settings (great for newborns as it sits nicely below the umbilical cord all the way up to toddlers). Three different size inserts in several different materials are available. You may not need all three sizes of inserts and can skip the middle size - it is all up to you! We recommend approximately 24 inserts per size. Available in both snap and hook & loop as well as yummy colors inspired by ice cream, also with color coordinating snaps for a great looking nappy. Liners are rather slim and fit perfectly to the best bottom nappies. The best thing about them is that they are made from natural fibers and kind to babys bum. Takes a while to dry. 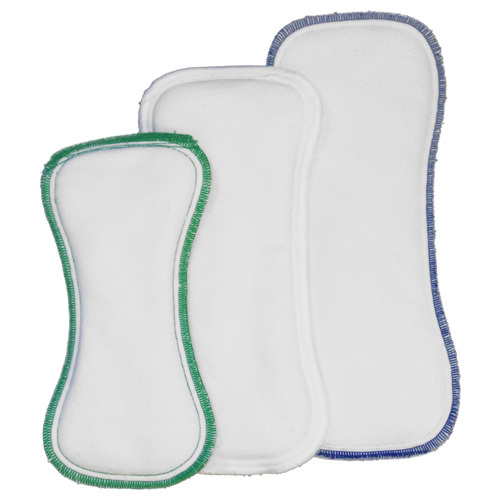 The microfibre inserts are soft, snap easily into the wraps, and dry quickly. We have been using these for 9 months. These fleece inserts have been washing really well so far and are so soft and cosy, ensuring maximum comfort and dryness when we use them at night. Our little man seems very happy with our purchase! Bought these to deal with my heavy nighttime weyyer. Siobhan was very helpful and gave me good advice on how to layer the different types of inserts and we havn't had any leakages thus far. Love the best bottom system! So trim and so absorbent! 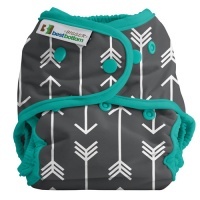 I found that these inserts are very absorbent considering I have a newborn that is a heavy wetter. It is very easy to use, no leaking so far and dries fast!